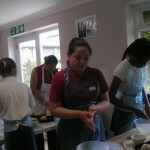 Fosters School – An Army of Volunteers! 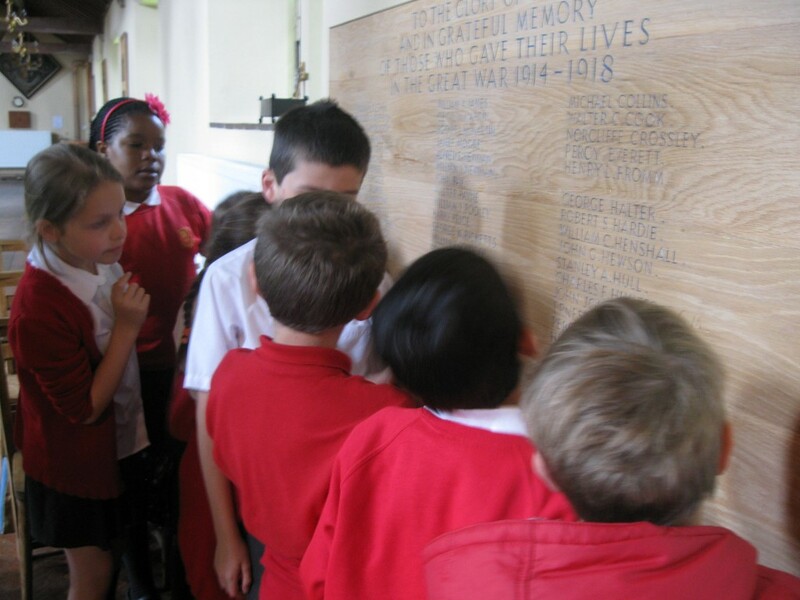 Foster’s School is the only surviving school in Welling that boys from the area who went on to fight in the War would have attended (Hook Lane didn’t open their infant school until 1907). 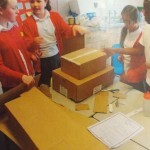 When we approached head teacher, Bruce Fletcher to ask if he would like to be part of our project, he was really keen to involve years 5 and 6. 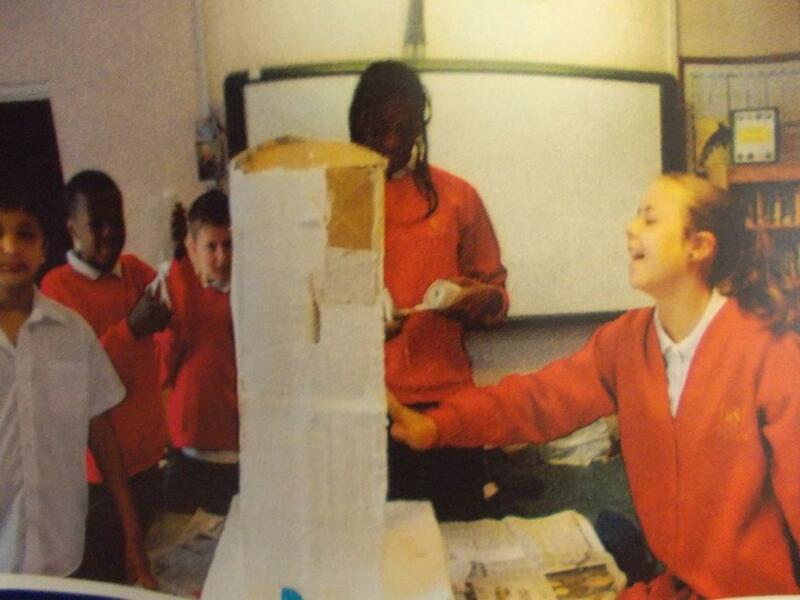 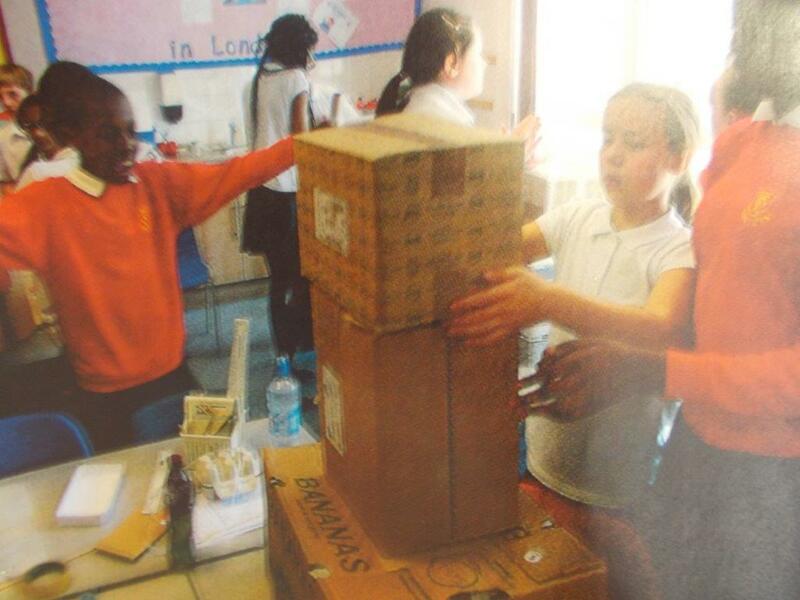 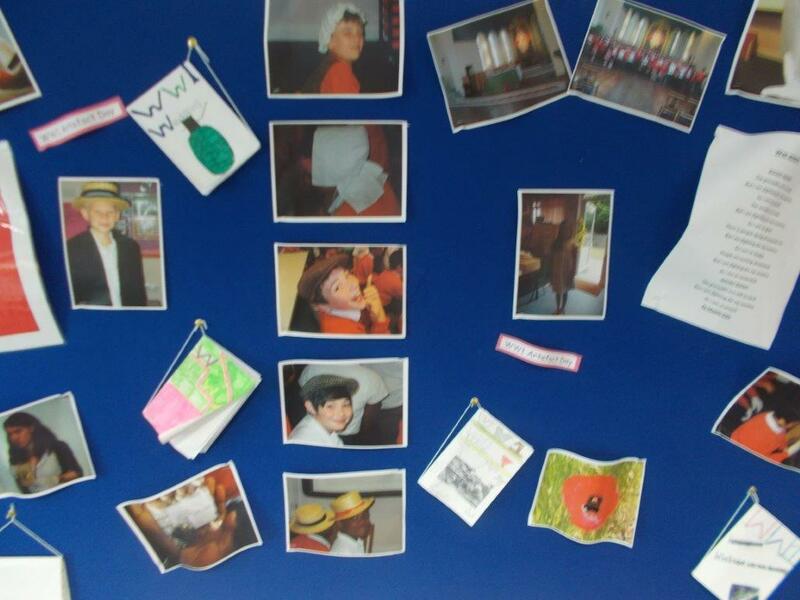 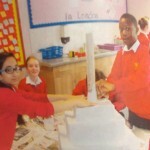 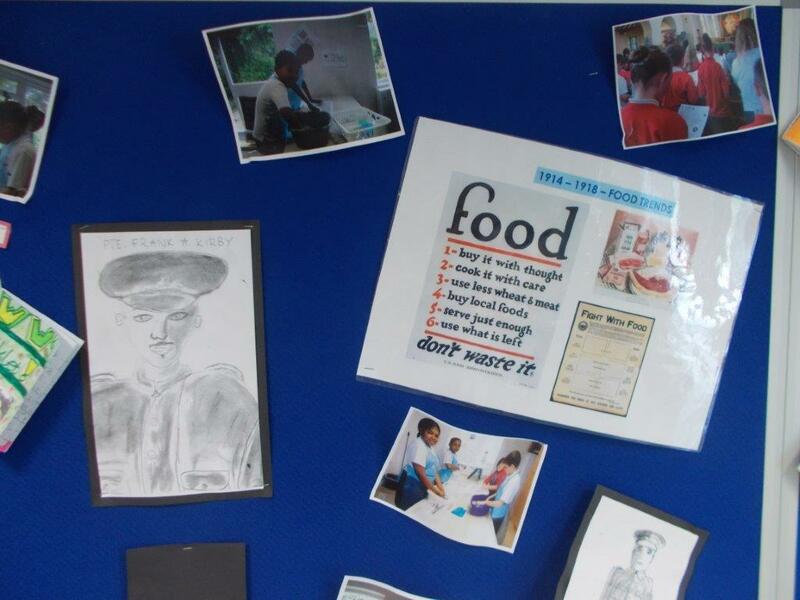 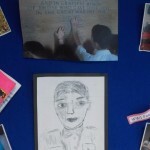 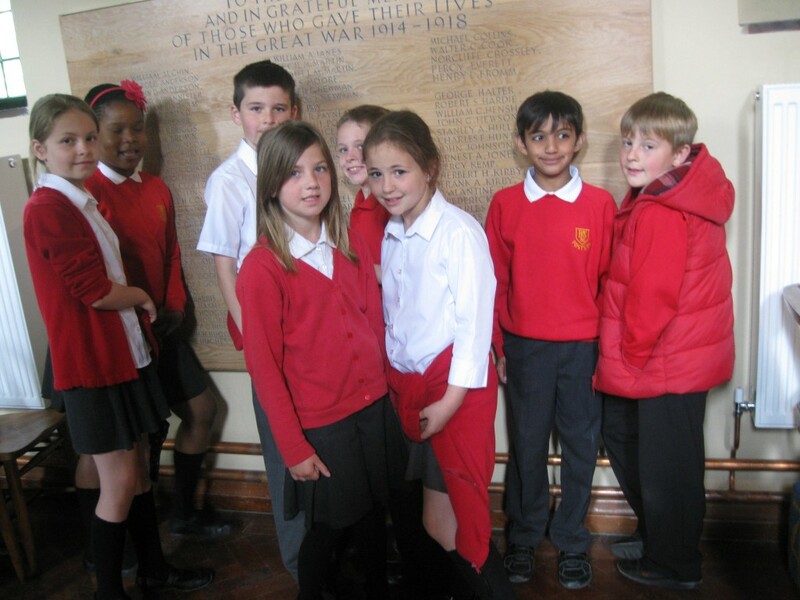 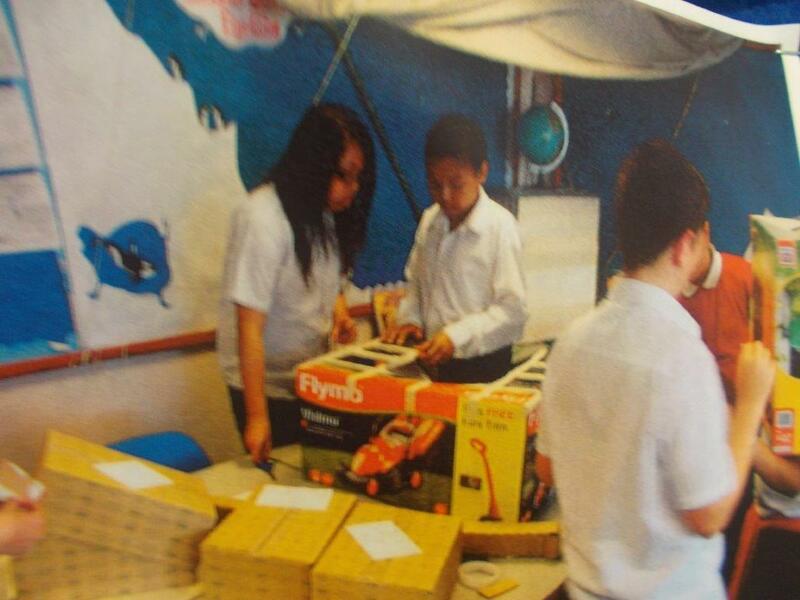 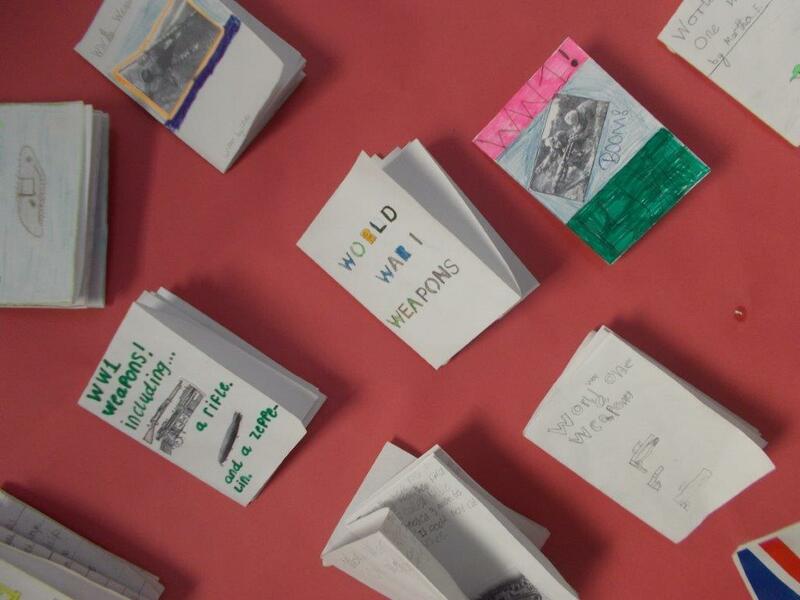 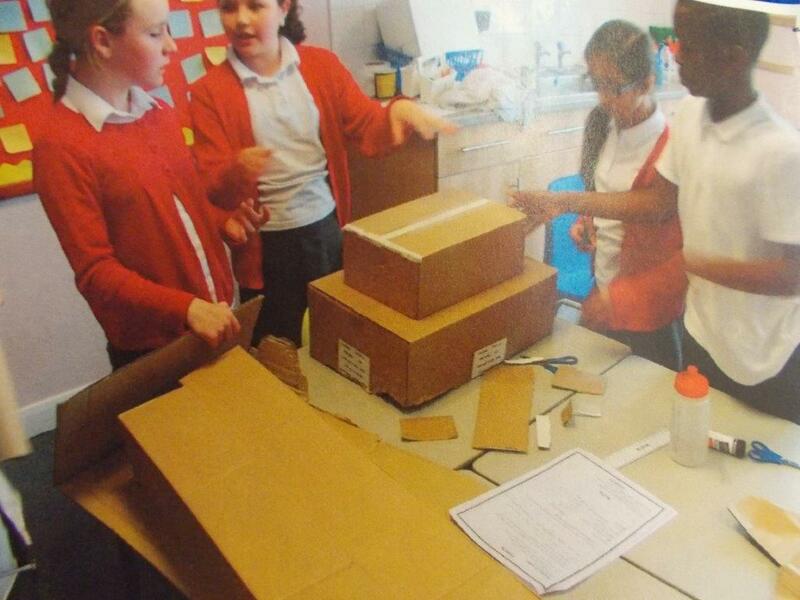 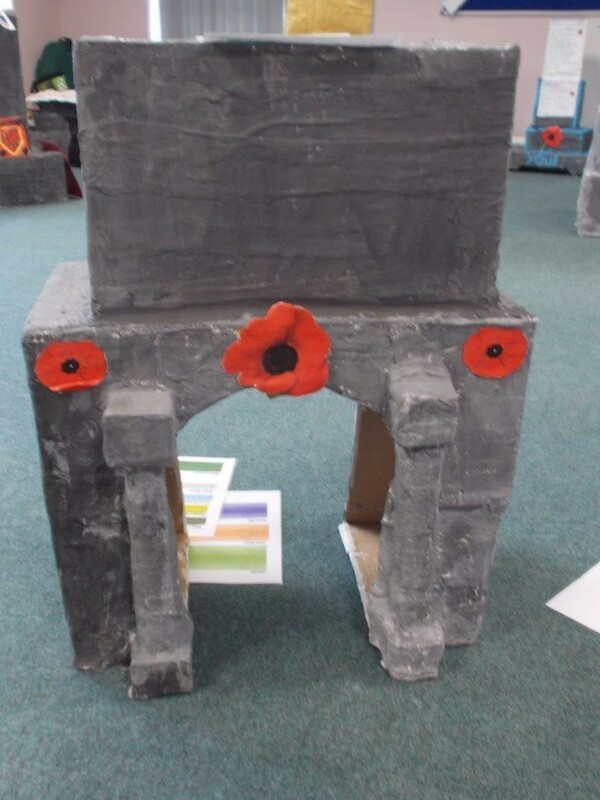 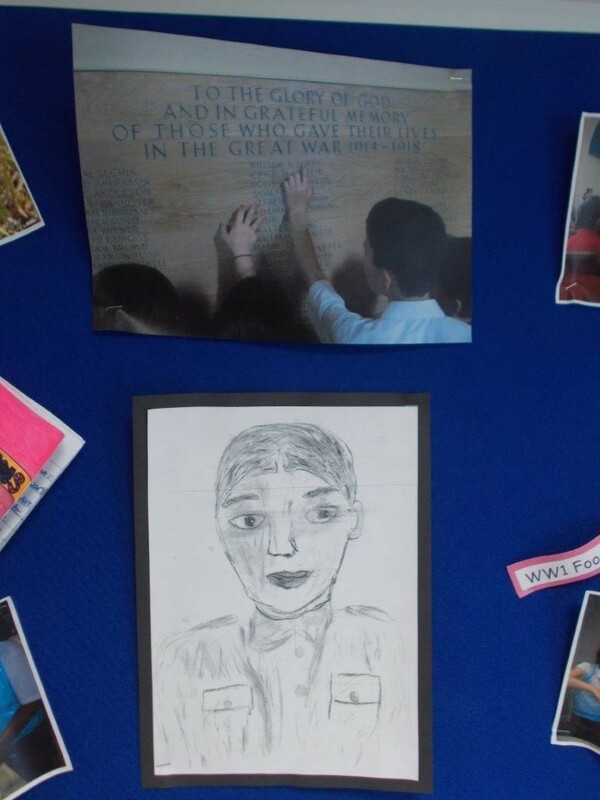 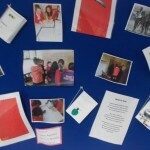 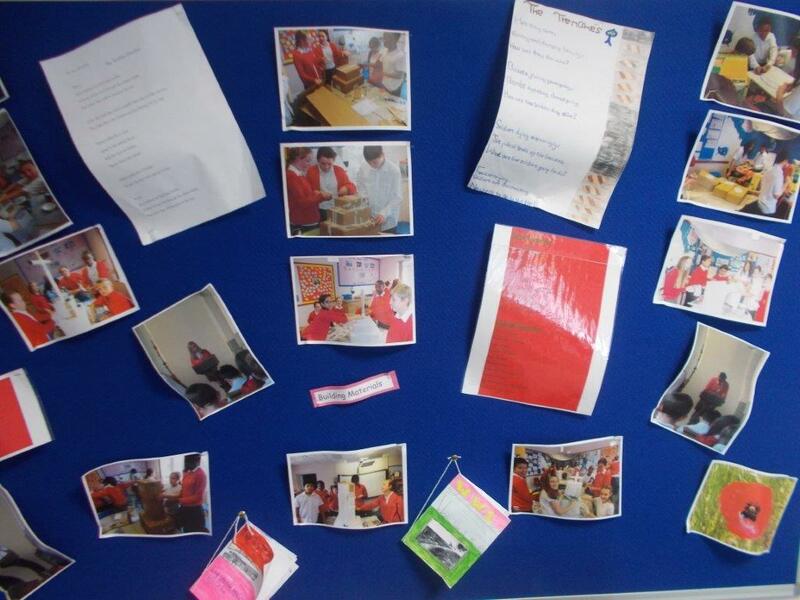 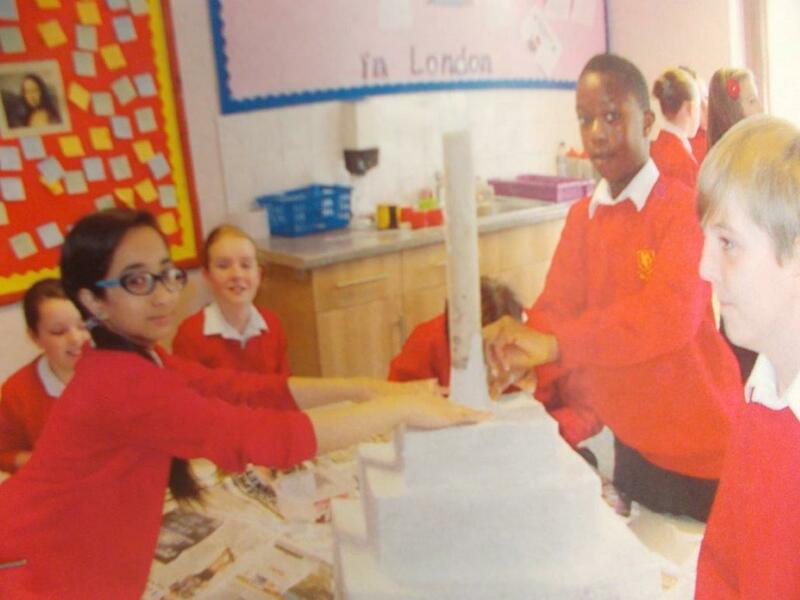 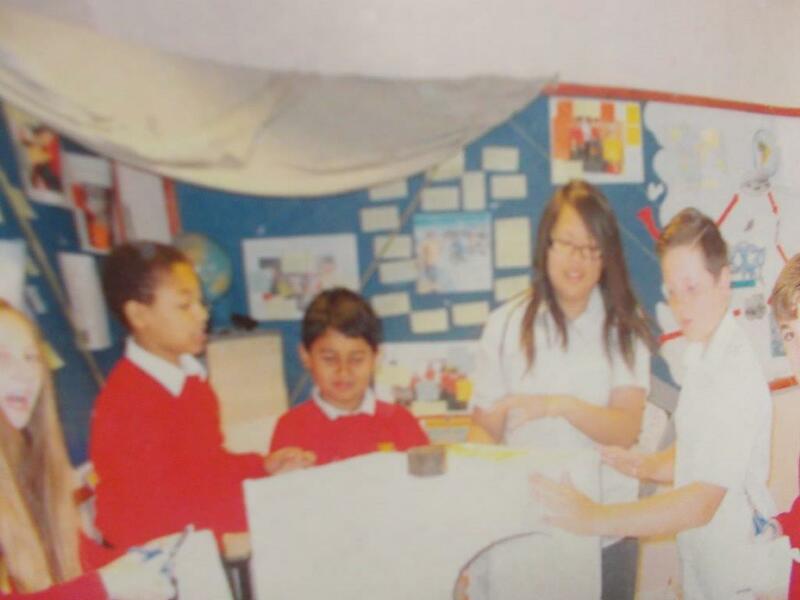 Under the enthusiastic and imaginative teaching from the staff, the children became researchers for the project whilst they learned about the First World War in its local and global context, during half of the summer 2013 term. 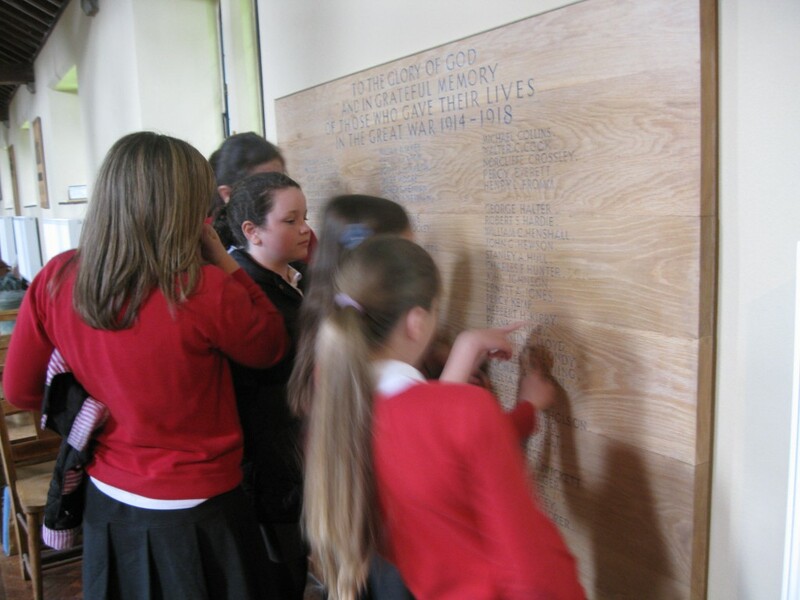 The children first looked through their original Admissions Register, dating back to 1885, to identify and find out about those boys who had later gone on to fight in the War. 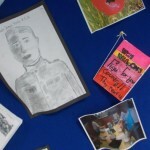 Their research was invaluable to the project, giving a real insight into the men’s childhoods. 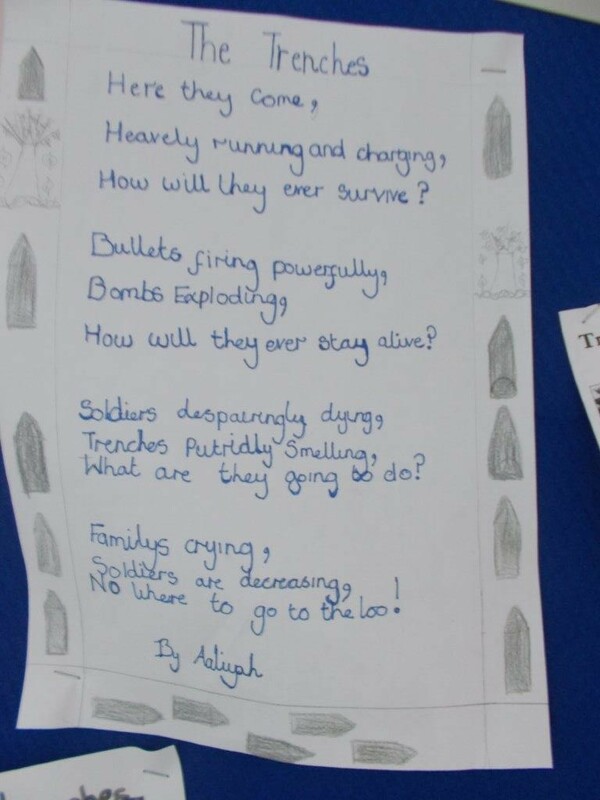 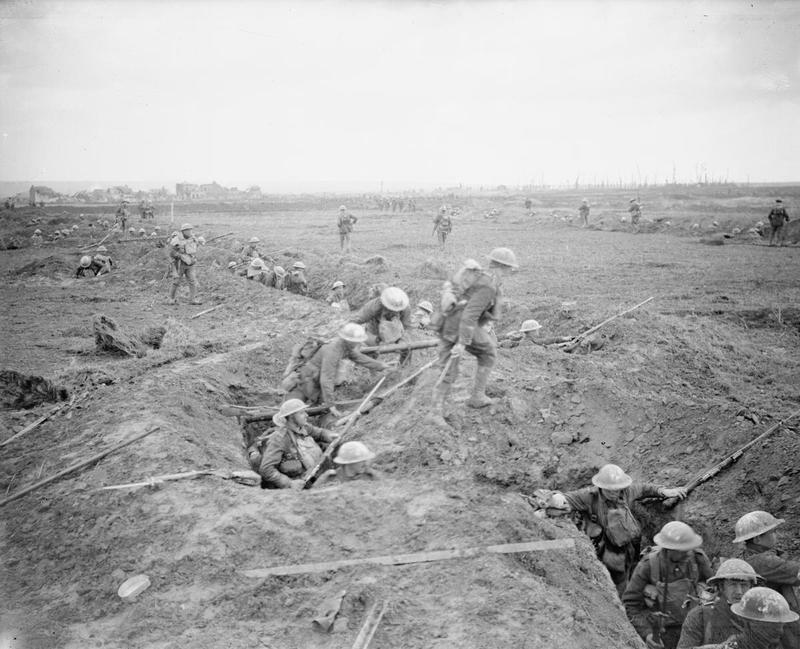 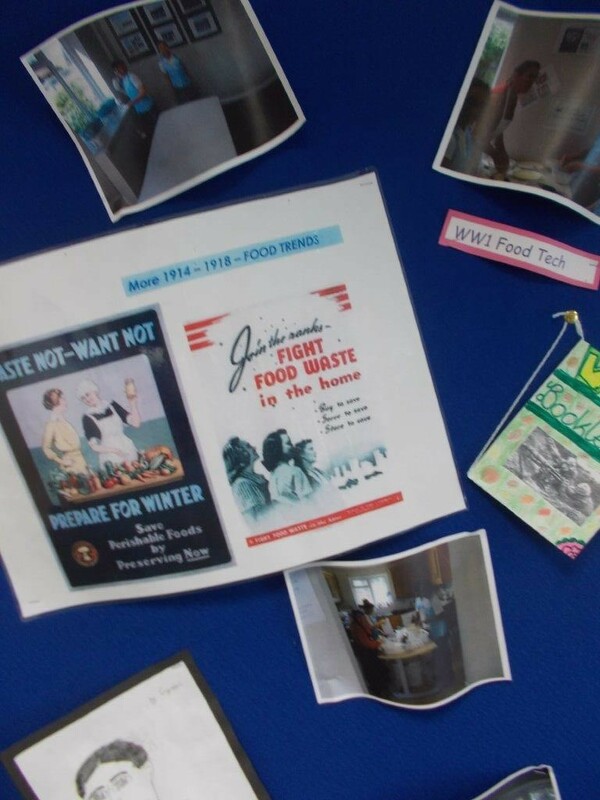 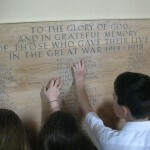 As the children continued in their research from other sources, they also looked at the reasons for the outbreak of the War, learned about the battlefields, conditions and life in the trenches and life on the Home Front. 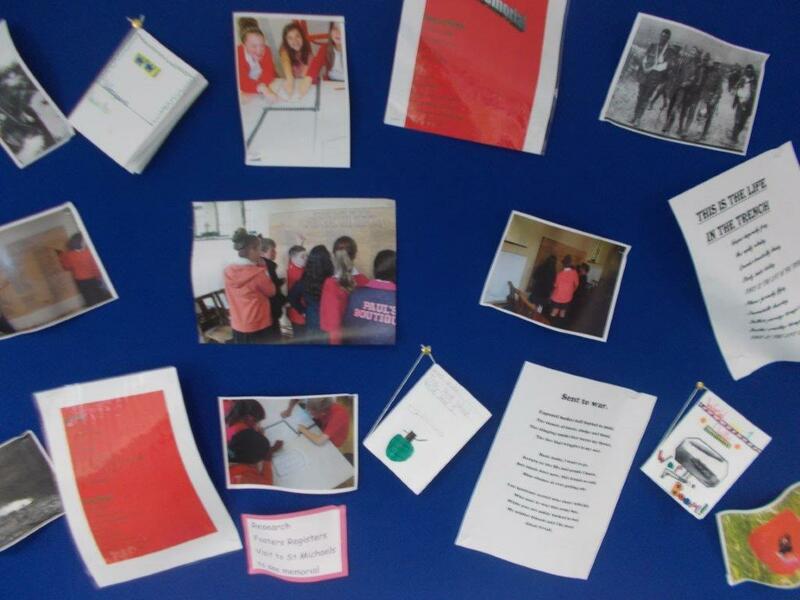 The teachers encouraged their learning with fun activities. 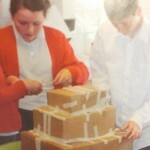 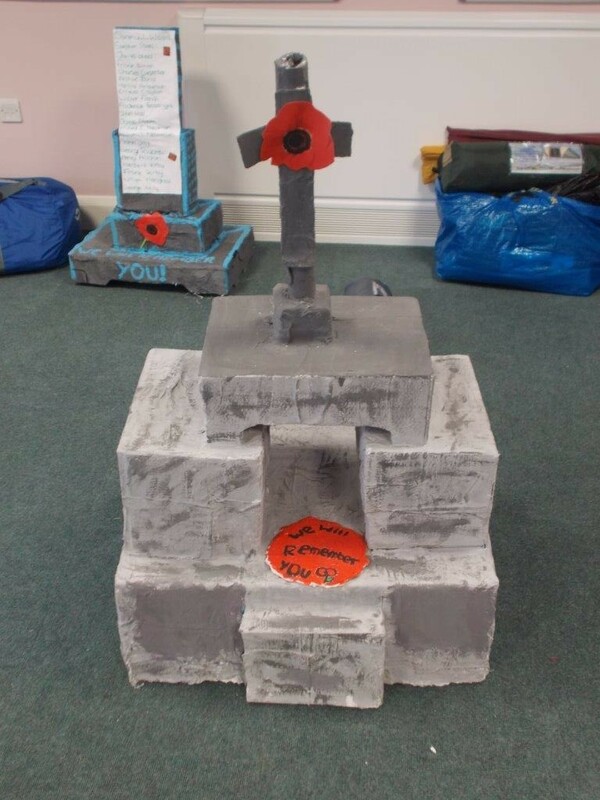 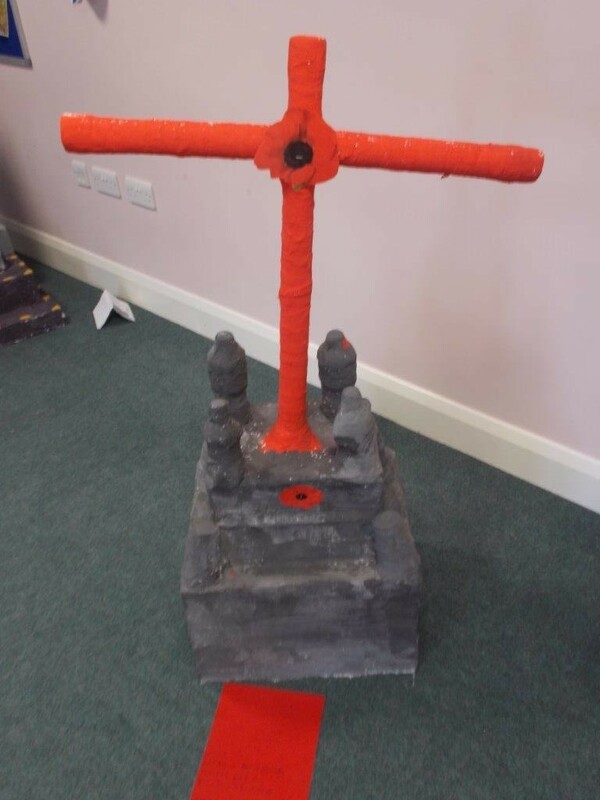 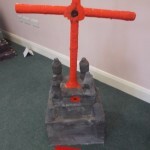 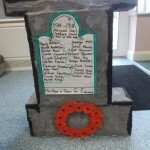 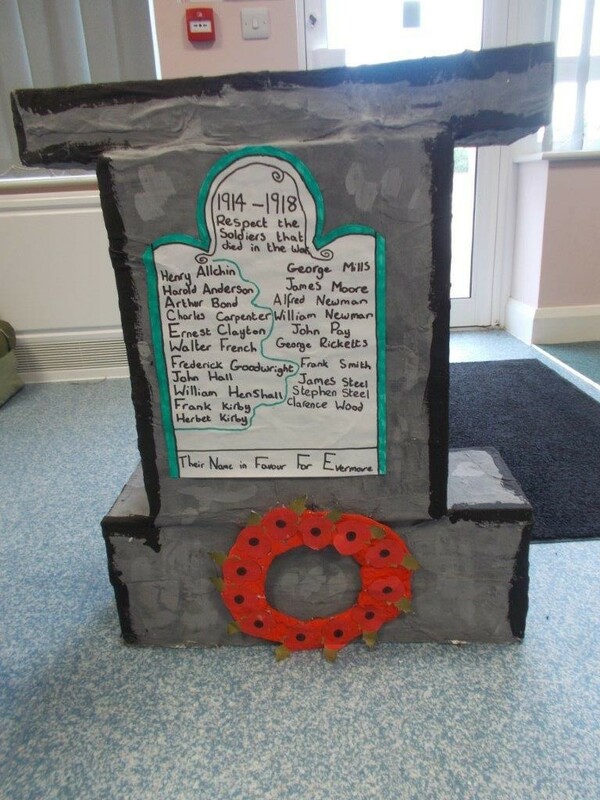 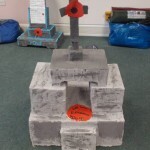 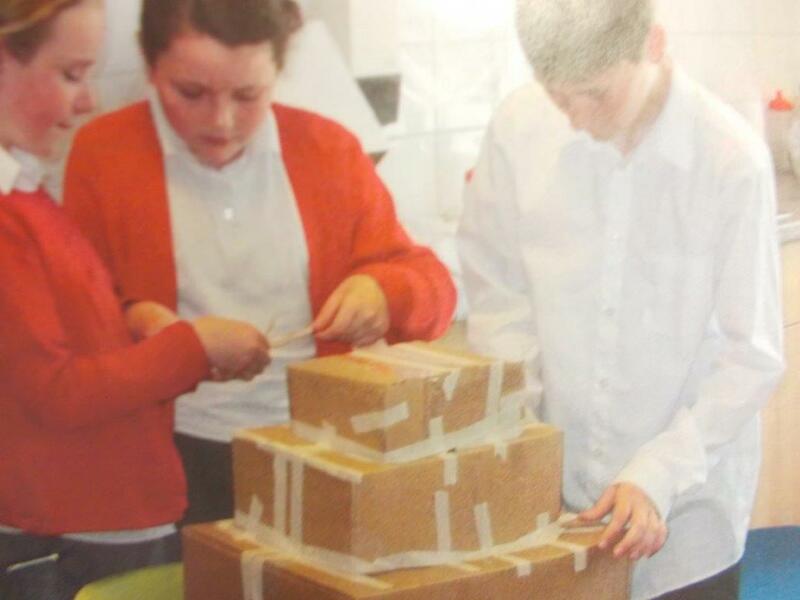 After visiting the Trust’s War Memorial in St Michael’s Church, where they found the names of the men they were researching, they researched different types of war memorials and then designed, built and painted their own out of recycled materials (including cardboard boxes, milk cartons, paper plates and mud rock). 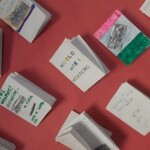 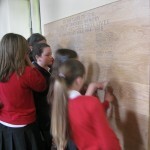 They composed diary entries, poetry and letters home from the Front. 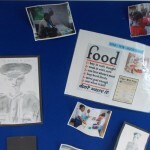 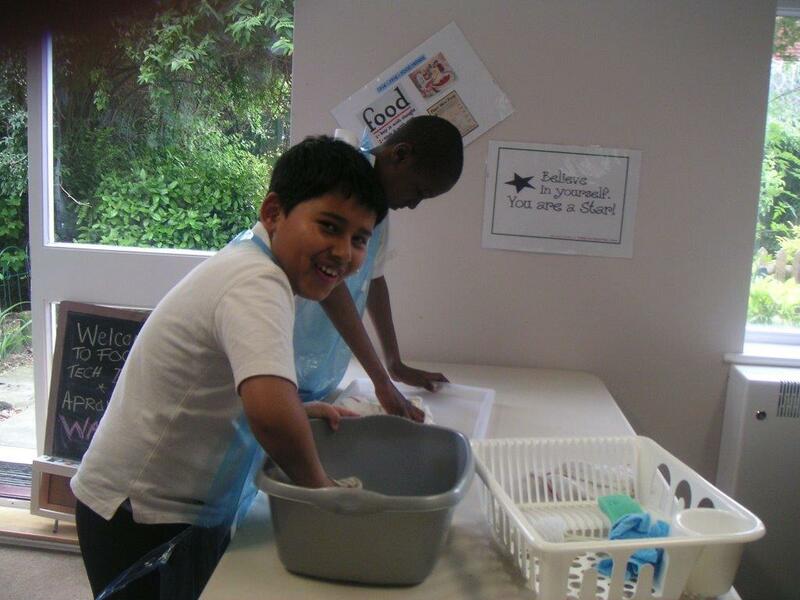 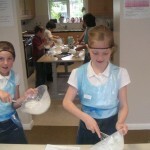 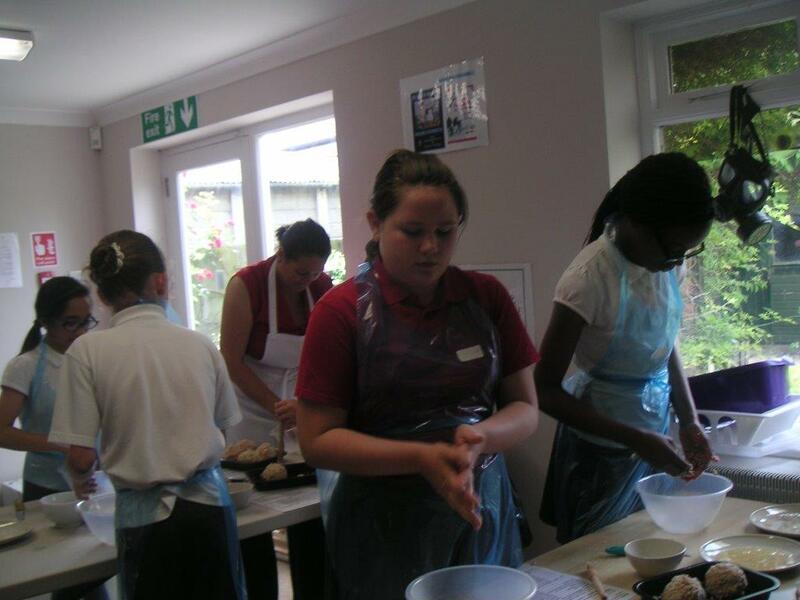 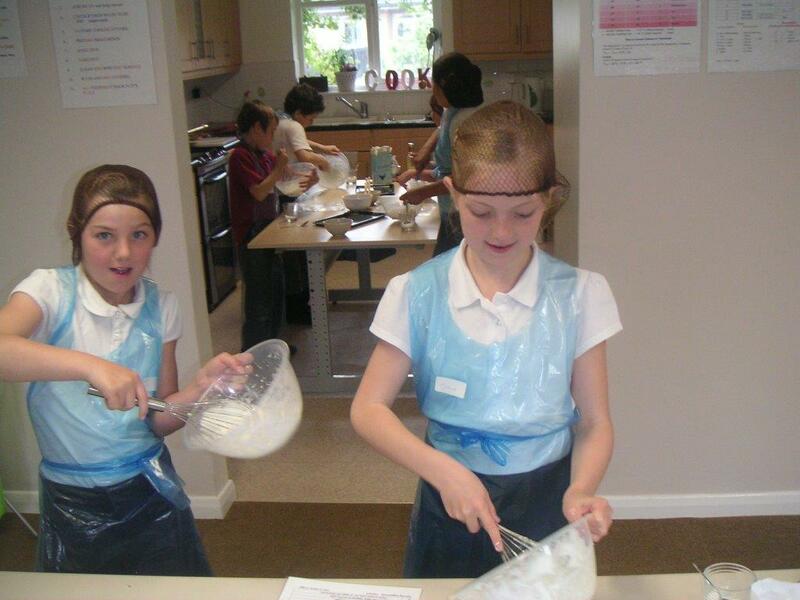 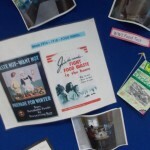 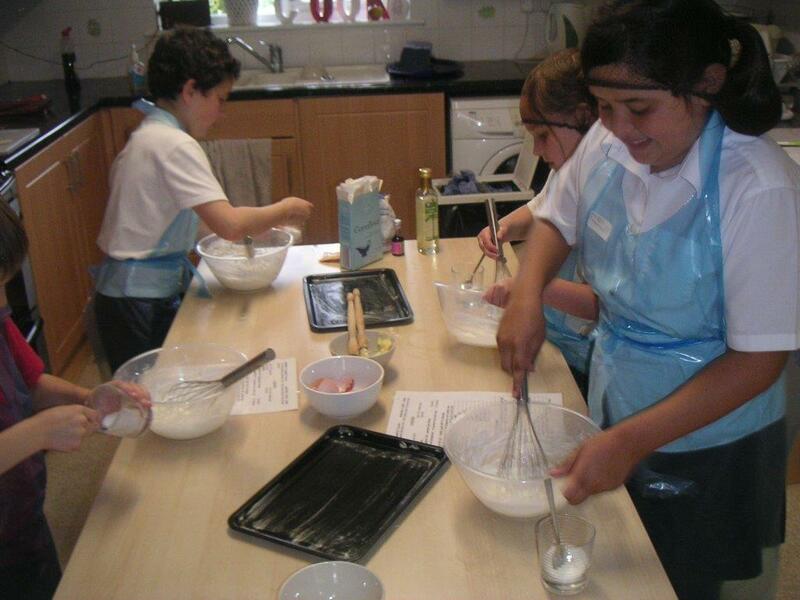 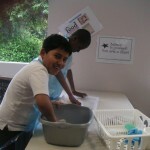 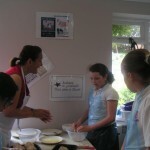 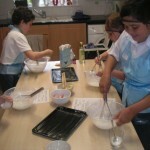 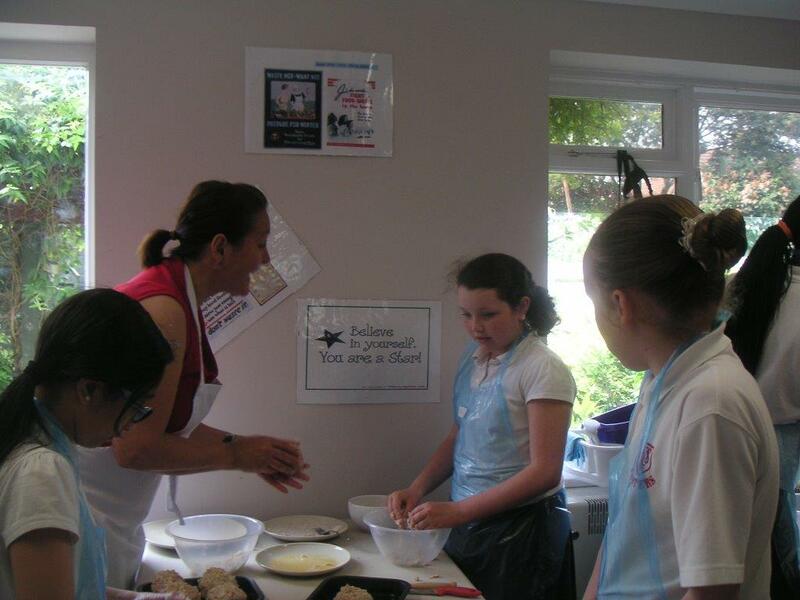 They also learned about what food was eaten and why, and cooked some recipes from the time. 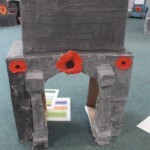 The Collections Manager at Bexley Heritage Trust also took some First World War artefacts into the school and ran sessions with the children in small groups where they learned about the artefacts and how to handle them. 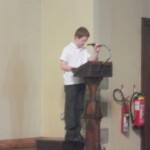 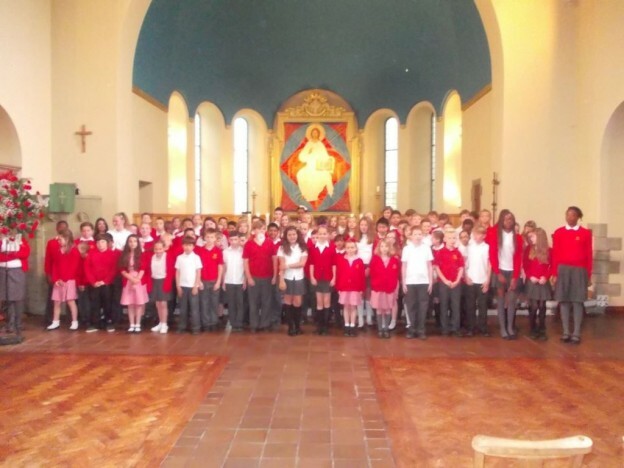 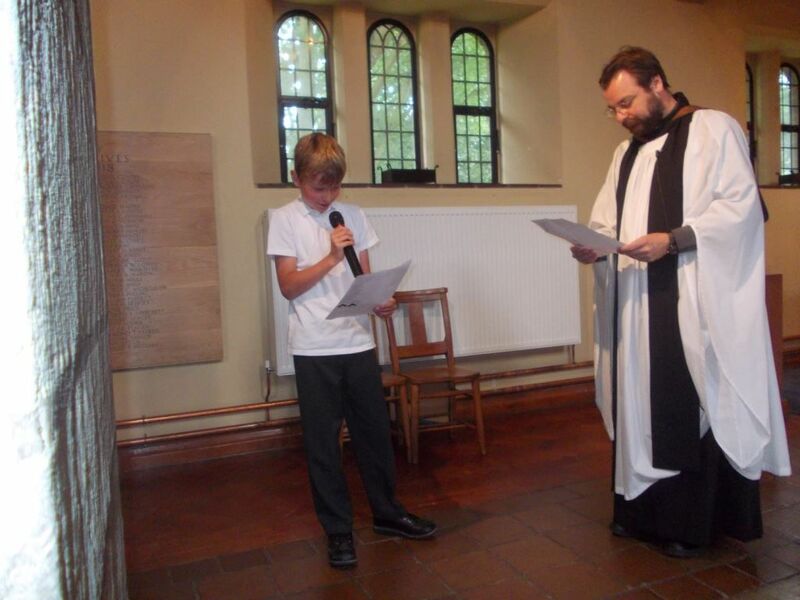 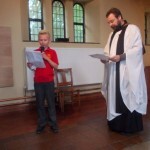 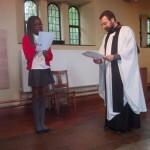 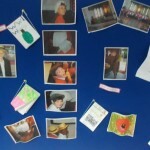 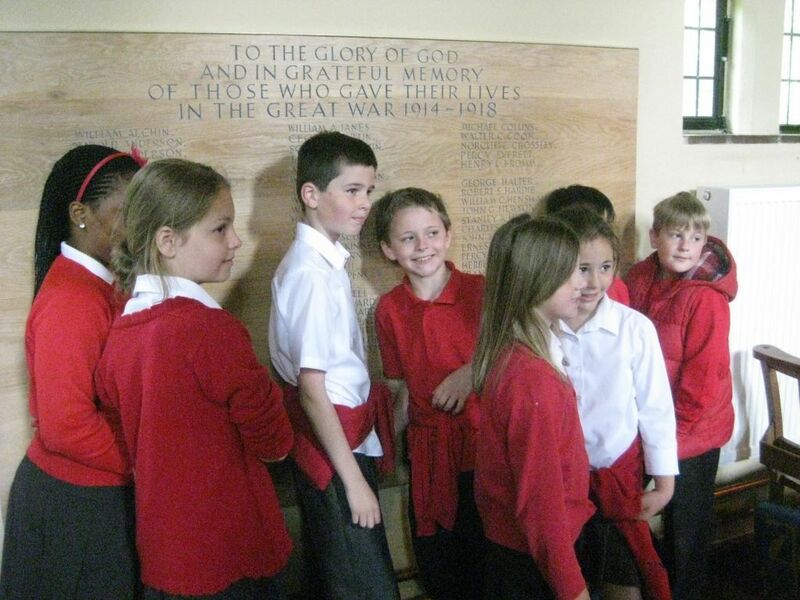 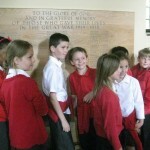 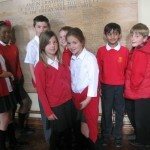 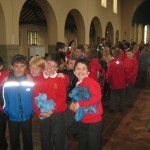 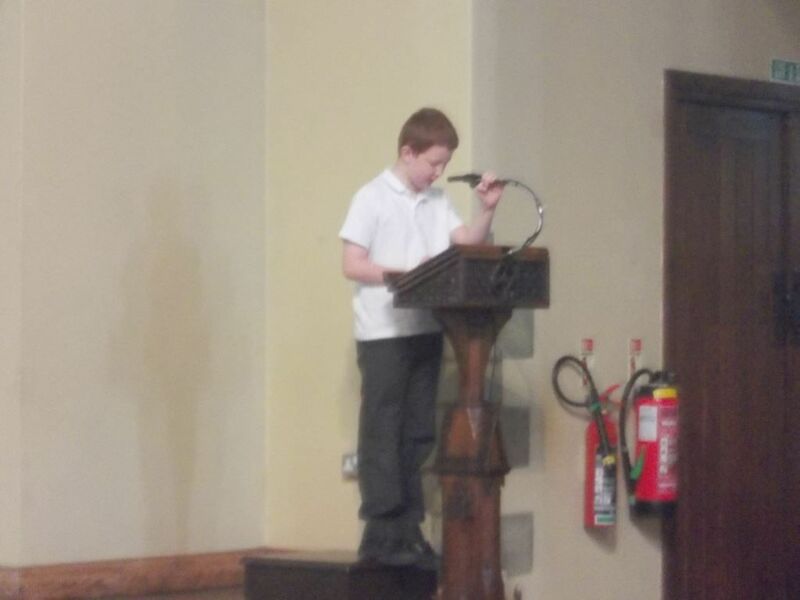 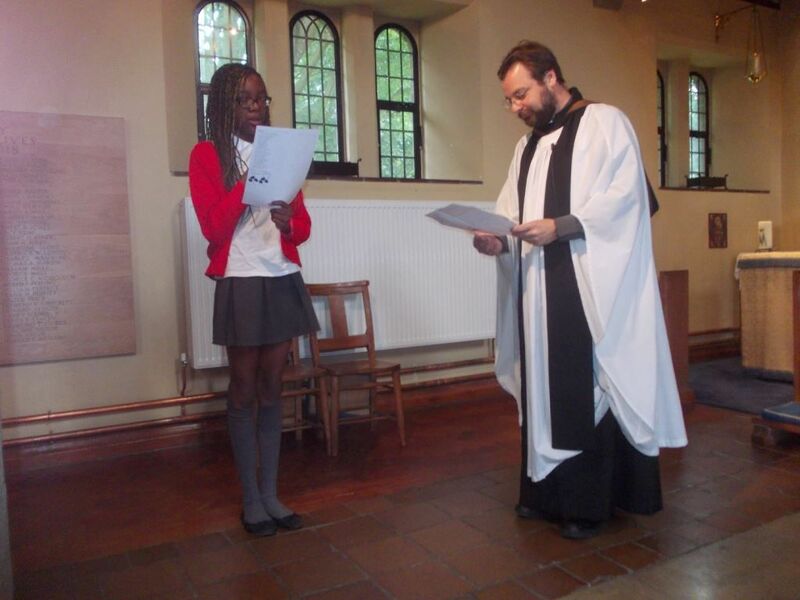 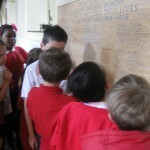 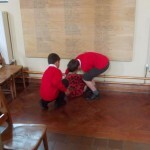 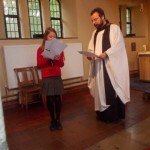 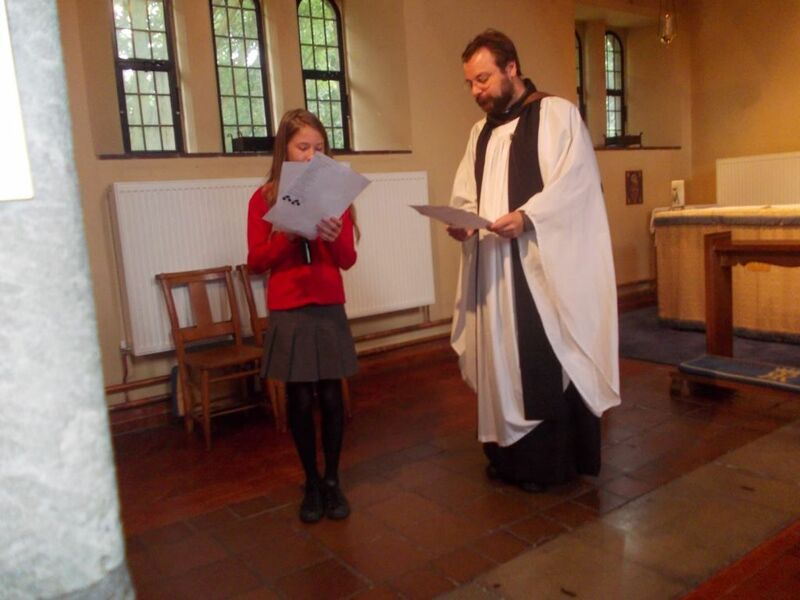 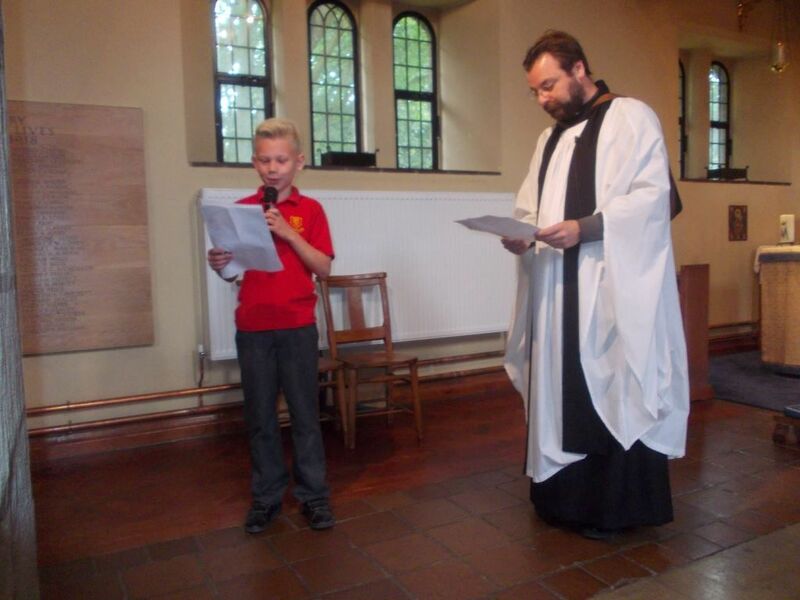 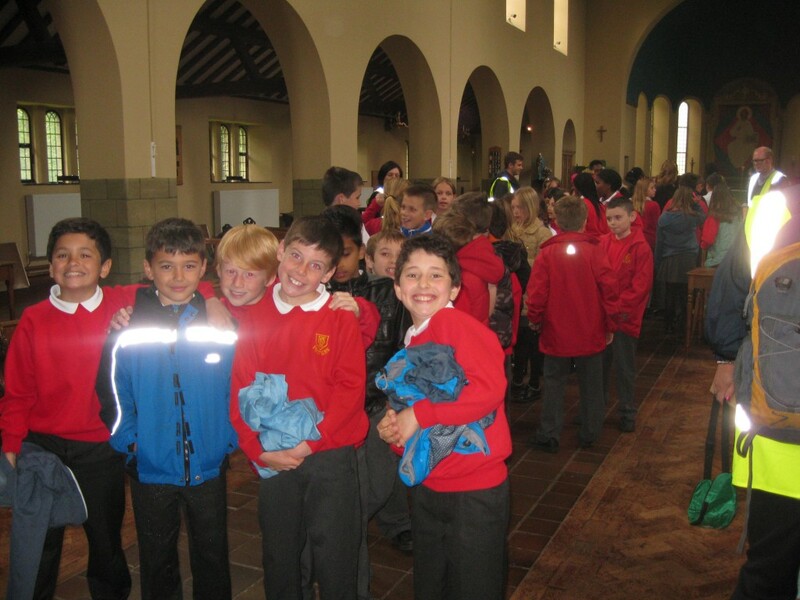 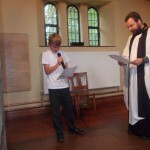 Towards the end of the project the children re-visited the Church to hold their own Remembrance Service. 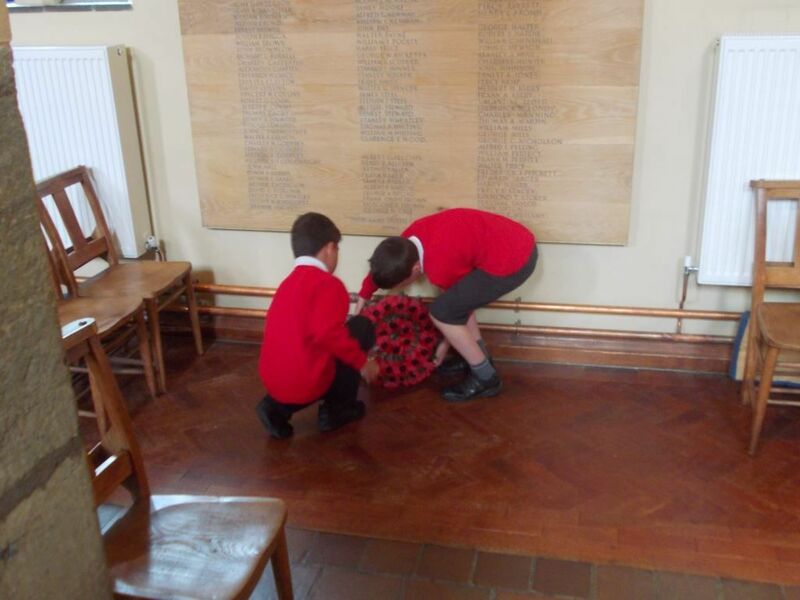 This included them reading out the names of the local men who had died in their own Act of Remembrance. 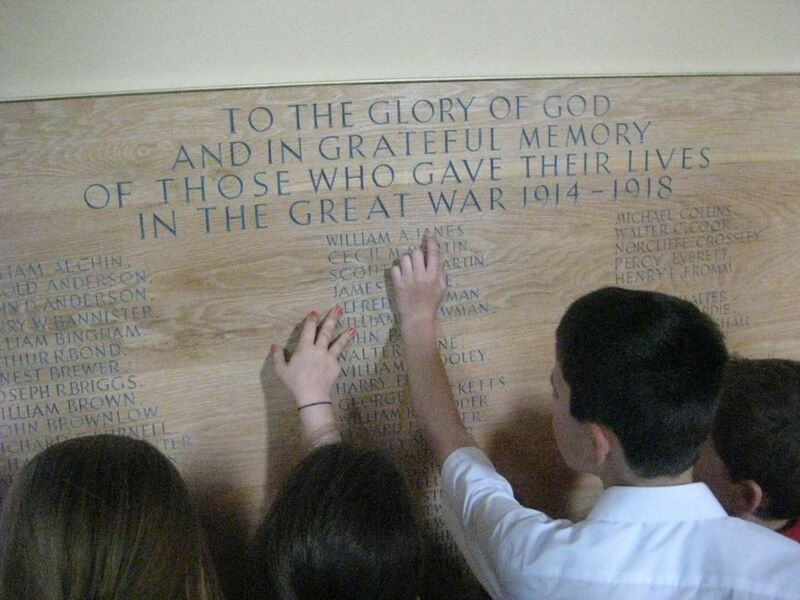 The children learned much, contributed valuably to our project and in doing so have helped to especially remember the men who had attended their school. 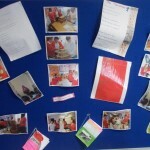 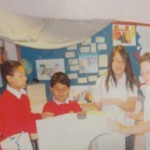 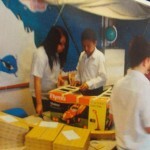 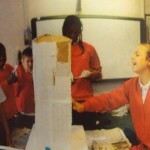 The Trust would like to thank the children and their dedicated staff for their enthusiasm and engagement in the project. 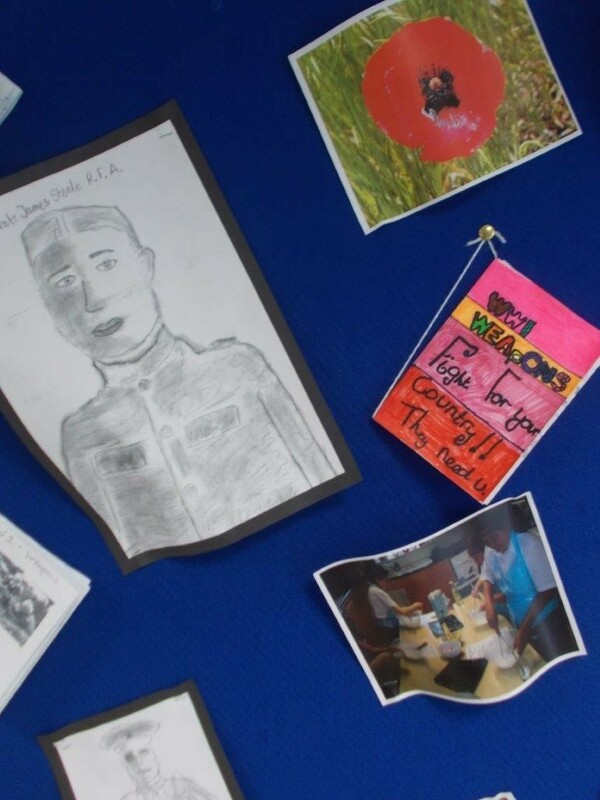 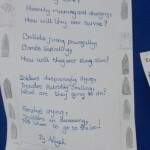 An exhibition of the children’s work has been put up in Central Library, Bexleyheath, for the duration of November 2013.